Sakshi Maharaj has also, in a subtle tone, warned the UP BJP chief of “adverse consequences” if the party goes ahead with the purported decision. 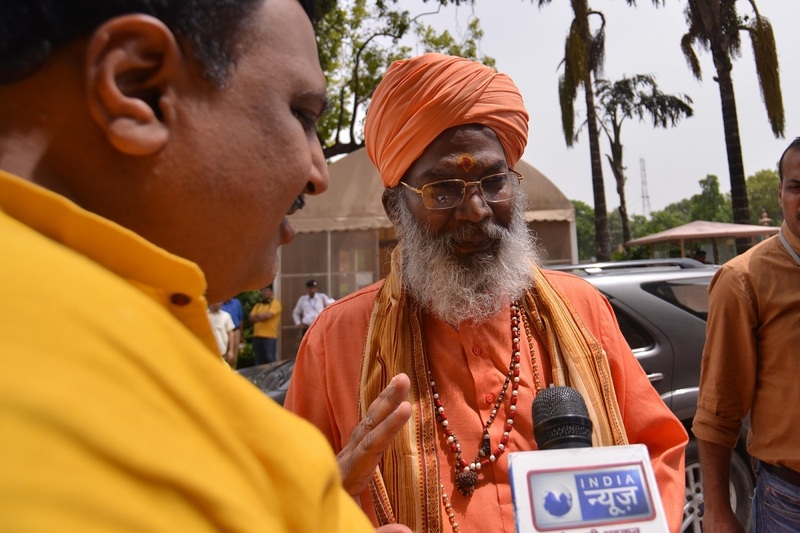 Sakshi Maharaj, the Bharatiya Janata Party (BJP) MP from Unnao, Uttar Pradesh, in a letter written to the state BJP Chief Mahendra Nath Pandey, has expressed his concerns over the party’s supposed decision to not field him from the Unnao constituency for the 2019 Lok Sabha elections, say reports. “If the party (BJP) takes a different decision (related to my candidature) for Unnao constituency then this may hurt sentiments of crores of workers from the state and across the country. Its consequences may not be positive,” said Maharaj in his letter dated March 7, 2019. Referring to his victory in the 2014 Lok Sabha elections, Maharaj has mentioned that he had emerged victorious by a margin of three lakh fifteen thousand votes. He further states that as part of the SP-BSP alliance, the seat has been given to the SP and the party is very likely to field Arun Kumar Shukla, a powerful Brahmin leader, or some other Brahmin candidate. He has also given the break-up of the caste-based equation of the constituency. He has argued that since he is the only Other Backward Classes (OBC) candidate in the BJP, he should be allowed to contest again from the said seat. Known for making controversial statements, the saffron-clad MP was heavily criticised on social media for laughing and waiving from the truck carrying the mortal remains of CRPF jawan Ajit Kumar who was killed in the Pulwama terrorist attack.